St. Dominic and Blessed Alan de la Roche. 1. Whoever shall faithfully serve Me by the recitation of the Rosary, shall receive signal graces. 2. I promise My special protection and the greatest graces to all who shall recite the Rosary. 3. The Rosary shall be a powerful armor against hell, it will destroy vice, decrease sin, and defeat heresies. 4. It will cause virtue and good works to flourish; it will obtain for souls the abundant mercy of God; it will withdraw the hearts of men from the love of the world and its vanities, and will lift them to the desire of eternal things. Oh, that souls would sanctify themselves by this means. 5. The soul which recommends itself to Me by the recitation of the Rosary, shall not perish. 6. Whoever shall recite the Rosary devoutly, applying himself to the consideration of its sacred mysteries shall never be conquered by misfortune. God will not chastise him in His justice, he shall not perish by an un-provided death; if he be just, he shall remain in the grace of God, and become worthy of eternal life. 7. Whoever shall have a true devotion for the Rosary shall not die without the Sacraments of the Church. 8. Those who are faithful in reciting the Rosary shall have during their life and at their death the light of God and the plentitude of His graces; at the moment of death they shall participate in the merits of the saints in paradise. 9. I shall deliver from Purgatory those who have been devoted to Rosary. 10. The faithful children of the Rosary shall merit a high degree of glory in Heaven. 11. You shall obtain all you ask of Me by the recitation of the Rosary. 12. All those who propagate the holy Rosary shall be aided by Me in their necessities. 13. I have obtained from My Divine Son that all the advocates of the Rosary shall have for intercessors the entire celestial court, during their life and at the hour of death. 14. All who recite the Rosary are My sons, and brothers of My only Son, Jesus Christ. 15. Devotion to my Rosary is a special sign of predestination. 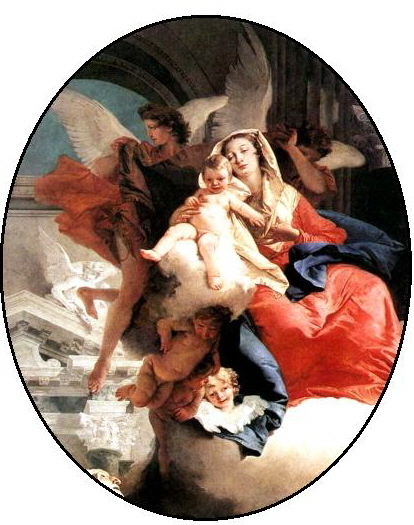 I formally and publicly consecrate myself to our Blessed Mother now and forever. I have experienced unimaginable blessings & miracles that gave all stemmed from reciting & teaching others about the Rosary. If you have Never Prayed a Rosary, this is my perception & words I have said in real life experiences to, people I’ve met who are, seeking a quick fix to a stressful time. When you are looking for an answer to your problems or Hoping for a positive outcome of the situation on your mind, if your burden is just to heavy, keep this in mind. The Holy Rosary is for ALL faiths, denominations, and religious of any kind. It takes about 15 minutes to pray 5 decades while u relax. I say it when I drive. Saying a Rosary, replaces any Luck, Wish, or Astrological Sign. It’s ok to skeptical the first time you try. Because as long as your Heart is in it, The Holy Rosary is sure to outshine every doubt u may have in your mind.